Wildfires have devastated communities in California, forcing evacuations and burning homes to the ground as they scorch tens of thousands of acres. You can help by making a donation to help members and their families that have been affected by these fires. 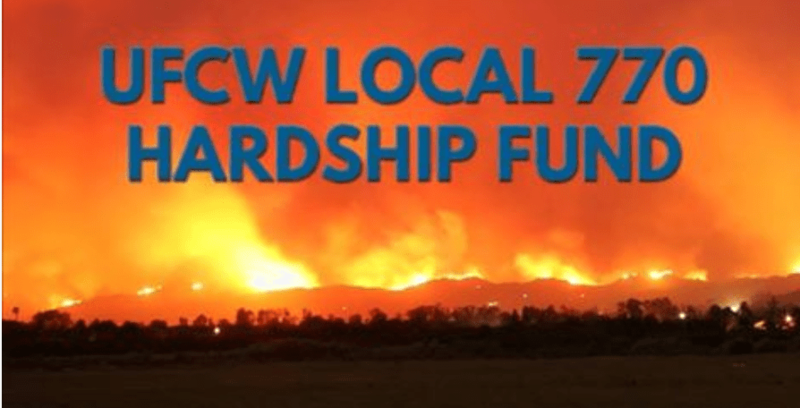 These donations will go directly to UFCW Local 770 members who have suffered losses due to the Southern California wildfires for food and shelter.